Warning – NSFW: What's Your Favorite Curse Word? Britain's Channel 4 asks loads of celebrities to share their favorite swear words. I used to love Garfield. But I hey, I was in 4th grade. I grew out of it shortly thereafter, though my mom insisted on buying me Garfield stuff for many years thereafter *sigh*. 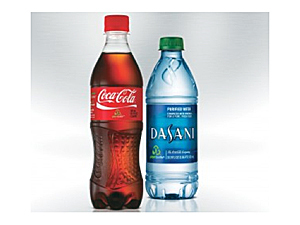 Today, the power of digital imaging allows us to make a giant leap forward! The results is a funnier strip. "Home From Africa: 13 Symptoms of Peace Corps Withdrawal"
My friend Diane was posted to the African country of Benin [correction: she was in Niger, but met her future husband in Benin] in the Peace Corps after college. When she'd tell me stories about her time there, it struck me as a very difficult lifestyle for two years. Listening to this radio program from Transom reminded me of a lot of her stories. I have to admit Jason's right about this site: "It's cool and there's little bits of humor in it too." And I really the new van-like model. Velma has, by now, learned to avoid rolling her eyes when she sees me squirrel away some random slip of paper, or pile of magazines, of worse yet, box of seemingly useless junk. When I do this I still see her give me a sideways glance and a slight shake of the head, like she's given up trying to dissuade me. I usually respond with an indignant-yet-guilty "What?! I'm gonna use this some day, it's gonna come in handy." She hates that I'm a packrat. Velma's one of those get-rid-of-it kinds of gals. And this occasionally leads to some interesting confrontations. There are a few reasons why I'm a packrat (and maybe some underlying reasons I'm not even aware of). My dad wasn't a packrat, but he did have the prerequisite amount of old dad stuff in the garage and the attic that I was always fascinated with. My mom, on the other hand, is definitely a packrat. She's still got some of my toys from when I was little, and lots of old newspapers and magazines from the Kennedy era, and that's barely scratching the surface of the boxes and boxes of stuff squirreled away into every nook and cranny of her house. My dad actually was actually more like Velma. He got rid of stuff pretty regularly, to the point where his large house eventually had rooms entirely devoid of contents. He kept some momentos and such, thankfully, like photo albums and some family quilts and such. When I was growing up I kept lots of stuff too. I had bags of seashells and interesting rocks, boxes of Legos and other toys, books stacked all over my room, papers and pens and scissors and tape and cut-up magazines and all kinds of projects strewn about three rooms at a time. My dad was always trying to get me to clean these up. 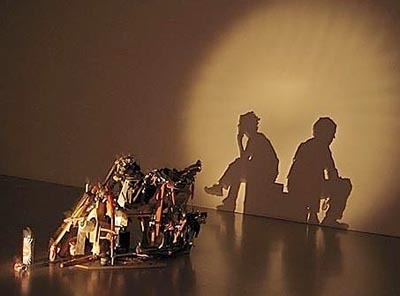 I was always trying to convince him I was working on all of them at the same time, and that it was pointless to clean them up because I'd just have to get them out again to work on them, and it's not like we ever had any people come over anyway. Well, okay, once in a while we had visitors, and I did clean up my stuff on those occasions. Well, most of it. And he was always telling me to clean up my room. Typical parent, huh? Fortunately for me, I had two big closets in my room, so I could throw all kinds of stuff into those. Typical kid, huh? Worked pretty well until one day I left my closet door open and he saw all the stuff in there and from then on he was perpetually on my case to clean out my closets too. One day in my teens I got fed up and finally went down to the garage, retrieved a big garbage can, and spent the entire afternoon in my closet filling the garbage can to the brim. I threw out magazines I'd had since the third grade, stuffed animals I hadn't looked at in years, books, toys, posters...stuff I can't even remember today. I'd had enough of my dad hassling me to clean those closets, and the only way I could fight back was to give in and throw it all away in a flurry. Many years later, long after I'd moved out and lived on my own, my dad sold his house and moved to a retirement community. I still had a lot of stuff stored in his attic and Velma and I went to sort through it, to throw some of it away and to see what was worth keeping. Looking through those boxes of kids books, toys, school projects and even stuff from my college years, the memories flooded back to me, from my early childhood all the way through age 21 or so. And as I uncovered box after box of memories, I remembered that day when I'd thrown out a garbage can full of memories, undoubtedly some of them I'd now never recall, and probably some irreplaceable items from my past. I felt sorrow knowing that I'd thrown away a vintage Raggedy Anne and Andy doll set that had been my mother's, and in my adolescent ignorance I hadn't known either its market value or its family worth. Today I still feel the pang of regret when I think of it, and I wonder what else I threw away all those years ago, over half my life ago, things that I'll never remember. In school I never seemed that overly interested in history, but somewhere along the line I seemed to have picked up an appreciation for, if not history, historical artifacts. I like old papers and books, vintage magazines fascinate me, and rummaging through a really good antique store or a box of 60-year-old postcards can keep me occupied for hours. I've recently realized that I'm getting old enough that looking back at my own personal historical artifacts is pretty fascinating too. To see pictures of my friends from the neighborhood, to look at the drawings I made as a child and see the beginnings of my predilection for graphic design. Even to revisit designs I made early in my career (and give thanks that I've improved). Velma indulges me during these walks down memory lane, she even smiles a bit while she shakes her head. I may not be winning her over, but today she even brought me some old books from a garage sale. Occasionally my packrat tendencies pay off, and even she has to admit it. A week or so ago, I was hesitant to throw away a mesh bag with a zipper, even though we couldn't think of any use for it. I know she had to try hard not to roll her eyes when I said I was going to put it in the basement because "I might think of something useful to use it for." Just a few days later, when I was putting a handful of bungie cords back in the car where they normally end up uncoiling like unruly snakes, I realized they would all fit nicely into that mesh bag, and even Velma had to admit it was fortunate I hadn't thrown the bag away. 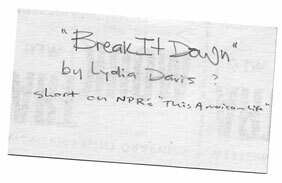 Today, while sorting through a box of old papers I'd been meaning to get around to since Bill Clinton was in office, I came across a business card with a note written on the back: " 'Break it Down' by Lydia Davis ? 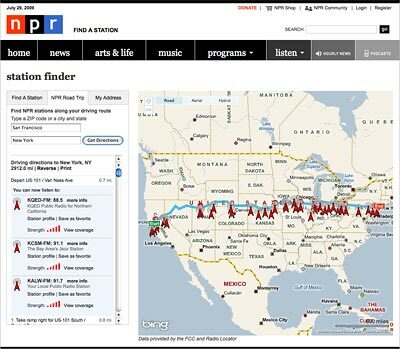 short on NPR's 'This American Life'." As far as I could tell, this business card was around ten years old. I didn't remember that story or person's name, but obviously it had made an impression on me or I wouldn't have scrawled it down to try to look it up again later. I'd been to "This American Life"'s website many times over the years and it was never all that useful if you were looking for a specific episode, so I didn't hold much hope that this slip of paper would go anywhere but in the recycling bin. But I looked it up again and lo and behold, they've recently redesigned their site and added more functionality. I did a quick search and quickly came up with the show in question, Episode #88, originally aired in 1998. 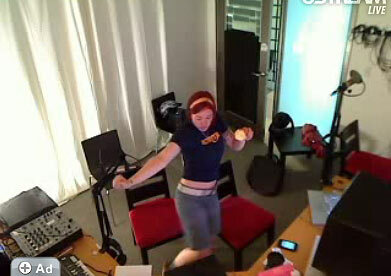 And I could even listen to an audio stream. Overall it's a good episode, but it's Act 6 that tips the scales. 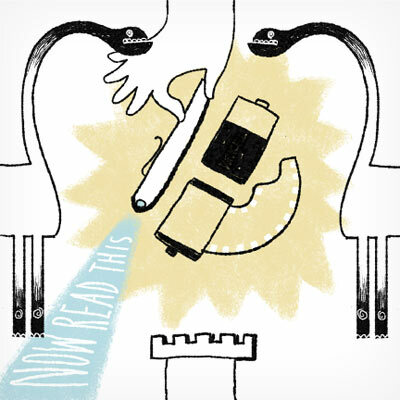 That's the part called "Break it Down" which had caused me to scrawl a note on a business card all those years ago, and the act's a perfect example of why "This American Life" is one of the best things on the radio and why I try to listen to it every single week. I'd forgotten this episode and this act completely in the ensuing years since I'd written that note. But I'm glad I squirreled it away and that it eventually found its way from my desk to a pile of papers to a box. And that I kept it in that packrat way I do, and that I found it again today, and that I looked it up and found it and listened to it again. And now, I can finally throw that business card in the recycling bin. Update: You can still get this DVD (as of Nov 2007)! I found it in "This American Life"'s online store when I went to donate money to the show. I got it and it's really cool. Visit their site and scroll down to the Lost Buildings DVD. 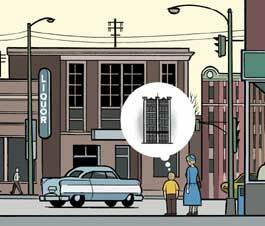 While I'm on the subject, am I the only one who regrets not having put up the $100 or so needed to get a copy of this awesome collaboration between "This American Life" and artist Chris Ware, as a public radio pledge gift? March 2010 update: Air America is reportedly going off the air. 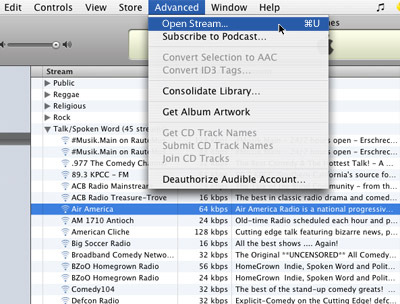 October 2008 update: A reader called Mr tells us about FStream (free download), which allows you to listen to Air America on your iPhone (he says you need to update your firmware if you’re using a first generation iPhone). Here’s an FStream review/how-to at Mac360. May 2008 update: A reader alerted me today in the comments below that Air America is no longer listed in iTunes (I confirmed this by looking myself — I have no idea why it's gone). However, the link to the stream, described in the March 2007 update below, still works. March 2007 update: Air America has changed the location of their stream, and now if you click on it in iTunes, you'll probably get a "loading" bar forever, like I did. 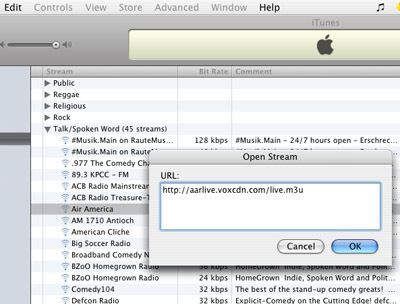 Per Alan's comment at the end of this thread, you can solve this by selecting "Advanced > Open Stream..." in iTunes and paste this URL into the dialog box: http://aarlive.voxcdn.com/live.m3u (see screenshots below). You can also just download the .m3u (right-click and save as...) and open it in iTunes. March 2006 update: It appears that the WKIZ playlist file is no longer viable. Air America is apparently now charging for their podcasts (info here, tutorial here), and I haven't been able to find an iTunes stream anymore. There are, however, various radio stations listed on this page where you can still listen to free streams using Windows Media Player or RealPlayer. 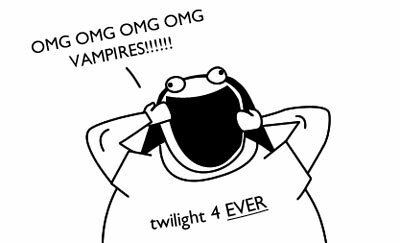 Original post: Thanks to bitter-girl (hey Velms, and she has a knitting blog [!] 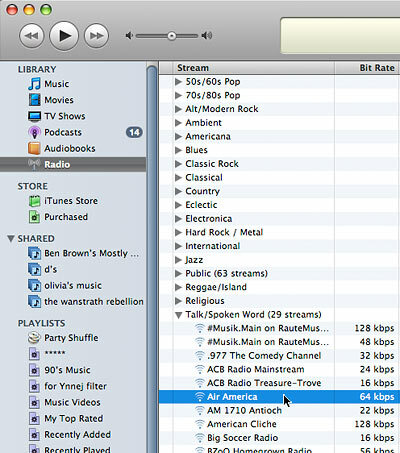 ), I learned that WKIZ radio in Key West, FL, has an iTunes feed of Air America Radio. Finally, I don't have to listen on RealPlayer anymore! So, to use it, download this .pls file (.pls = playlist), then drag and drop its icon onto your iTunes, and voila, you're listening to the radio.